Dubai: Despite the political challenges and corruption, Lebanon’s Prime Minister Sa’ad Hariri was optimistic about making Lebanon like Dubai in the future. 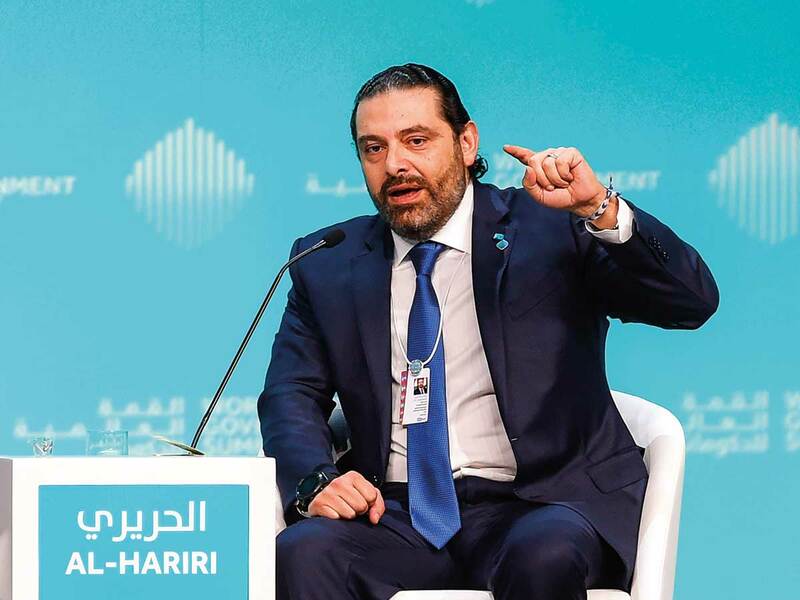 Hariri yesterday addressed a packed conference hall at the World Government Summit, saying there was a sentence in Dubai Ruler’s book about Lebanon that inspired him for the future of his country. “[His Highness] Shaikh Mohammad Bin Rashid [Al Maktoum, Vice-President and Prime Minister of the UAE and Ruler of Dubai] said that he used to travel to Lebanon in the past and wanted to make Dubai like Lebanon in the future. But when I came to Dubai now, I want to make Lebanon like Dubai,” he said. After nine months of wrangling over cabinet portfolios, Lebanon’s politicians finally formed a government 10 days ago. Hariri said Lebanon has put a reform programme in place to fight corruption and to encourage investors, describing it as the last chance for Lebanon to escape a collapse. “Today in Lebanon we don’t have time for luxury in politics because our economy could collapse, if we do not carry out this surgery quickly and with (political) unanimity,” he told the Summit. “Everything we are doing now for our country will be in the ministerial statement to encourage people to come and invest. We have laws from the 50s that slow our economy. We have collective support from all political factions to create reforms and new laws,” he added. He said that Lebanon was split after Rafik Hariri’s assassination in 2005 but Lebanon decided not to interfere in regional conflicts despite some Lebanese parties’ involvement in the Syrian war, in an apparent reference to the pro-Iran Hezbollah’s involvement in the war on the side of the regime of President Bashar Al Assad. Hariri said that there is political agreement between all parties in Lebanon on reforms as Lebanon is in a ‘make or break’ situation. He said Lebanon’s youth will help him in leading the reforms as 45 per cent of the population is under the age of 30. “This is our last chance, either we make it or break it and all political parties know it. I can reassure that once all the reforms are reintroduced then everyone will want to come to Lebanon,” Hariri said.